+ Remove yourself from junk mail lists. Each person will receive almost 560 pieces of junk mail this year, which adds up nationally to 4.5 million tons, according to the Native Forest Network. About 44% of all junk mail is thrown in the trash, unopened and unread, and ends up in a landfill. To stem the flow into your own home, contact the Direct Marketing Association's Mail Preference Service at P.O. Box 643, Carmel, NY 10512. Opt out of credit card or insurance offers at OptOutPrescreen.com or by calling 888-567-8688, a single automated phone line maintained by the major credit bureaus. + Buy unbleached paper. Many paper products, including some made from recycled fibers, are bleached with chlorine. The bleaching process can create harmful byproducts, including dioxins, which accumulate in our air, water and soil over time. 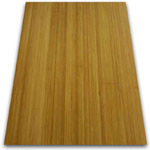 Bamboo is considered an environmentally friendly flooring material due to its high yield and the relatively fast rate at which it replenishes itself. It takes just four to six years for bamboo to mature, compared to 50-100 years for typical hardwoods. Just be sure to look for sources that use formaldehyde-free glues. Each year, Americans throw away some 100 billion polyethylene plastic bags -- from grocery and trash bags to those ultra-convenient sandwich bags. Unfortunately, plastics are made from petroleum -- the processing and burning of which is considered one of the main contributors to global warming, according to the EPA. 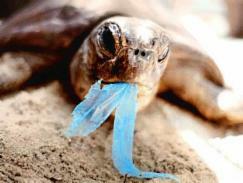 In addition, sending plastics to the landfill also increases greenhouse gases. 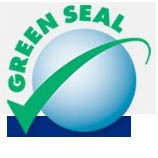 Reduce, re-use and recycle your plastics for one of the best ways to combat global warming. Conventional paints contain solvents, toxic metals and volatile organic compounds (VOCs) that can cause smog, ozone pollution and indoor air quality problems with negative health effects, according to the EPA. These unhealthy ingredients are released into the air while you're painting, while the paint dries and even after the paints are completely dry. Opt instead for zero- or low-VOC paint, made by most major paint manufacturers today. First, use compost instead of synthetic fertilizers. Compost provides a full complement of soil organisms and the balance of nutrients needed to maintain the soil's well-being without the chemicals of synthetic fertilizers. And healthy soil minimizes weeds and is key to producing healthy plants, which in turn can prevent many pest problems from developing to begin with. + Use native plants as much as possible. Native plants have adapted over time to the local environment and support native animals. They also use less water and require less of your attention. + Focus on perennials. Gardening with plants that live for more than one year means you don't have to pay for new plants every year; it also saves the resources used commercially to grow annuals. + Stop using chemical pesticides. American households use 80 million pounds of pesticides each year, according to the EPA. These toxic chemicals escape gardens and concentrate in the environment, posing threats to animals and people, especially children.